Our range of products include valve diaphragm and rubber diaphragm. We offer Valve Diaphragm . Backed by the sophisticated infrastructural facility we are able to manufacture optimum quality Valve diaphragms. 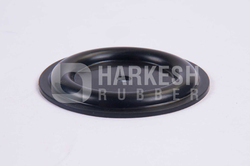 We use a flexible material in the production process and customize the diaphragms as per the specifications are given to us by clients. Looking for Valve Diaphragm ?